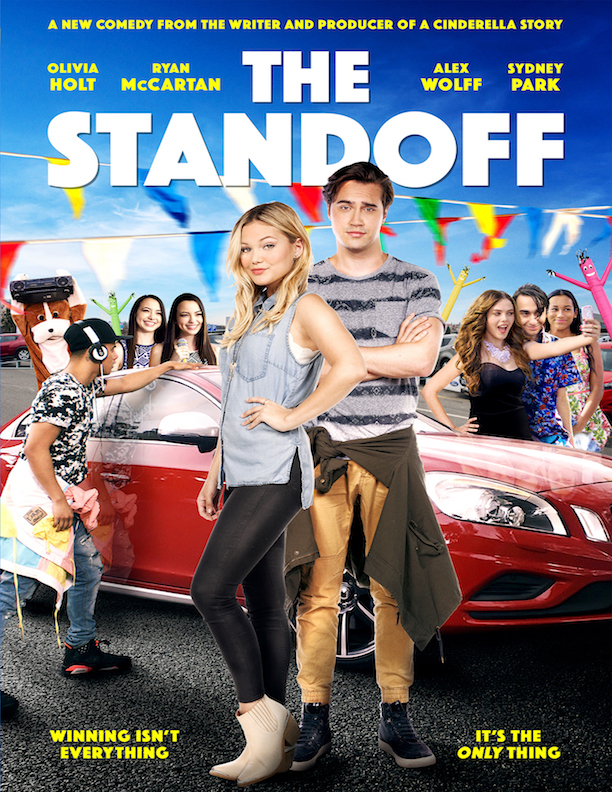 Amy (Olivia Holt, I Didn’t Do It ) and Farrell (Ryan McCartan, Liv & Maddie , Rocky Horror Picture Show ) have been high school rivals for years--and the local auto dealer is about to place them in their biggest competition yet. The contest rules are simple: To win the car, keep your hands on the automobile and be the last one standing. After two days of sleep deprivation, Amy and Farrell wonder if they’re really enemies. But with a new car at stake, no one is backing down—not even for romance. The other contestants—Sophie the social media sensation (McKaley Miller, Scream Queens ), Lala the science queen (Audrey Whitby, The Thundermans), Colby the football stud (Daniel Vasquez, Danny Boy ), Klyde the adrenaline junkie (Stony, Dude), Jerome the wanna-be hip-hop star (Julian Works, Paranormal Activity: The Marked Ones ), and Chris the all-American good guy (Chandler Massey, Days of Our Lives) as well as Farrell’s best bud Zane (Alex Wolff, The Naked Brothers Band )—will go to any length to win. Also starring Sydney Park (Instant Mom), Vanessa & Veronica Merrell (Jane the Virgin ), The Standoff is a no-holds-barred battle of the sexes you won’t soon forget!